Whether drinking in a big group or alone, drinking is a relaxing pastime for adults all over the world. When people visit Japan, many people ask why there are so many bars. “Japan is alcohol heaven!” they say. 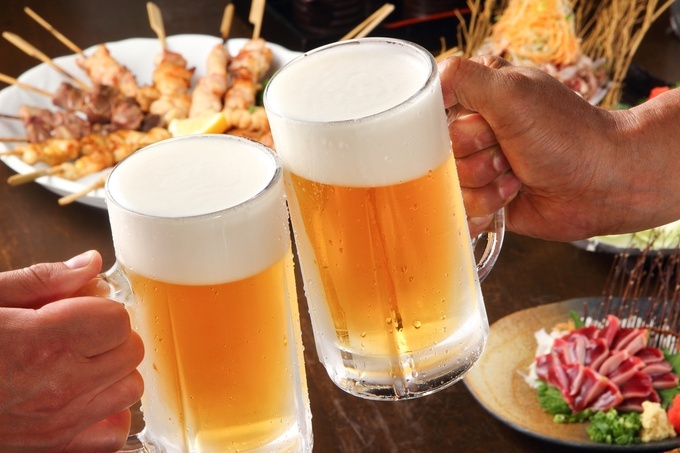 Did you know – Japan has over 300,000 pubs! And there are drinking grounds called “Izakaya” in Japan that are slightly different than bars. Maybe you know what IZAKAYAs are already, as they’ve started to pop up overseas in recent years. There is an article in Wikipedia. 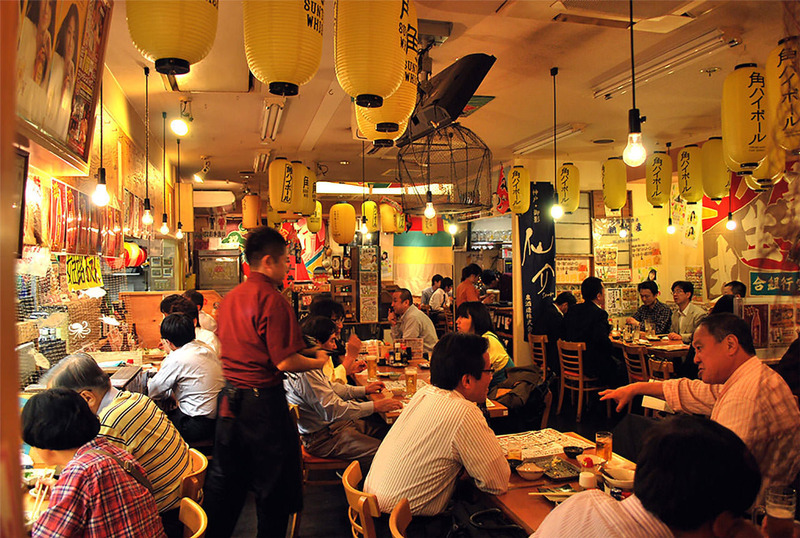 From a group of youth to salarymen, even families – Izakaya is a place that can be enjoyed by any age. It’s a unique invention by the Japanese. The US has bars, the UK has pubs, Germany has kneipes. But very few places have a diverse food menu as well as a drink menu. We have the area that does not sell the liquor on the holiday by a religious problem. There is the country prohibiting drinking for a religious reason in Islam. The drinking circumstances of Japan are the environment where they are endowed with. Japanese “Izakaya” features an atmosphere unlike “a bar” and “a pub”. A voice, “Irasshaimase-! !” of the salesclerk echoes in a shop if I enter the Izakaya. It is filled with voices and the laughter of the visitor in the shop and overflows. The some loud voices are natural. There are many kinds only with a drink, and a person and the minor who cannot drink liquor can enjoy it. It is attractive to be able to enjoy various dishes while sharing it together to be a lot of kinds of the meal. When you want to use it in ten people, 20 people, 30 and a group, the number of people and a course can be reserved. Even if you are small, it may be said, “I have made friends with the person of the neighboring seat!”. “Izakaya” has various types of shops. It makes a favorite bar, and it will be interesting to go to the shop of the type in various ways.